So… here we are. On the West Coast. After a solid 5 hours drive I pulled over at the Haast Visitor centre to have a quick chat to Jac Amey from DOC. It turned out to be a nice and relaxed one-and-a-half hour cuppa and catch-up that was quite welcome. One bit of important news was that the Tawaki double counts at Jackson Head had to be postponed by a couple of days and were only going to happen tomorrow and the day after. And that she was one searcher short for the second day. Of course I volunteered. Will give me an excellent chance to have a look at our study site, the types of nests we will be working with and the state of the breeding season. 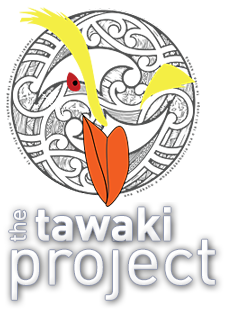 The postponement also means, that I have to find something to do for the Japanese film crew I will be supervising during their Tawaki documentary project over the next few weeks. They actually wanted to get into it from tomorrow onwards. But if we don’t know the location of Tawaki nests, there is no point carrying tons of camera equipment around the Heads. I actually met the team for the first time when I headed over to the Heartland Hotel which will be our base (courtesy of NHK) the next three weeks. Ida-san the director approached me as I entered the restaurant to greet me, the production assistant and interpreter Sam in tow. The whole team of four are a really nice bunch and we had a fruitful discussion about what to do the next few days, now that starting at Jackson Head the next day was out of the question. So… tomorrow we will head up North to Moeraki River where they hope to film penguins swimming up the water way to their nests. I had long email conversations about this topic in the preceeding weeks. I had never heard of penguins swimming up that river, but Ida-san had photographic proof. Although I gotta say, that the river on the photos seems more like a creek to me. But, well, we’ll see what Moeraki River looks like.